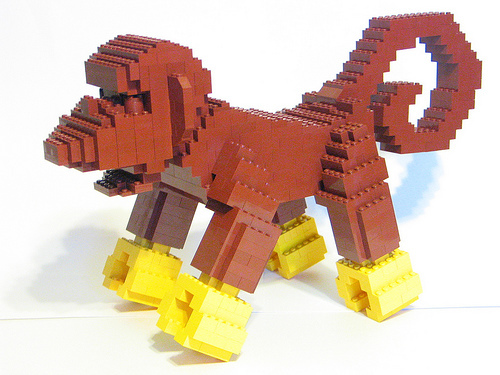 Billy McGill just built a giant version of the LEGO monkey for his niece. I’ve always liked this monkey…now why didn’t I ever think of doing this? This is an excellent build. It is nice to see giant theme creations that are not only figures. Any LEGO Pirate display could really use a moc like this.